"Let us contemplate the one with a single tusk, and meditate on the one with a curved trunk. May He awaken our consciousness and guide us on the right path." On the auspicious occasion of Ganesh Chaturthi (also called Vinayaka Chaturthi, Vinayaka Chavithi, Pillaiyar Chaturthi, and Chavath), we at Sadhana offer our best wishes for a joyous and reflective celebration. Ganesh Chaturthi is the festival dedicated to Sri Ganesha, our Hindu god of beginnings and remover of obstacles. On this occasion, we pray to Him to remove all obstacles to justice and peace, in our own work and in the world. 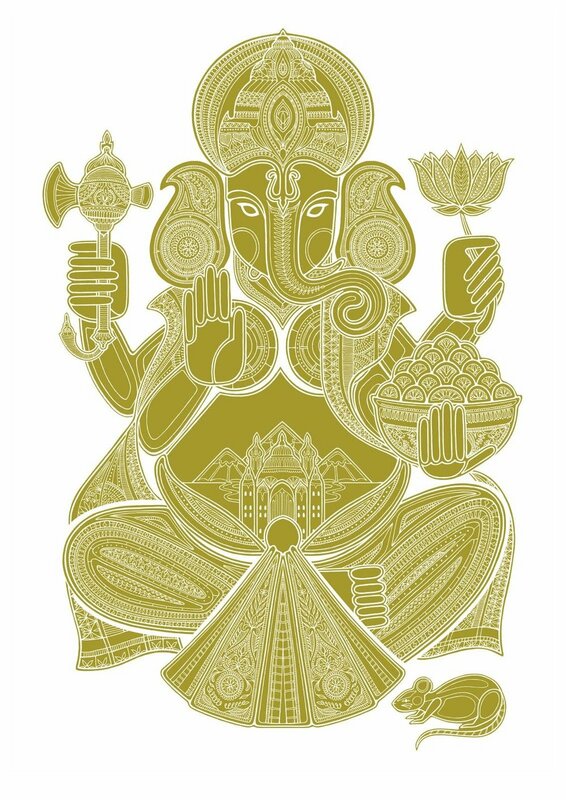 Ganesha is often depicted alongside Lakshmi (goddess of prosperity) and Saraswati (goddess of knowledge). We pray to Ganesha that all people around the world, irrespective of religion, gender, caste, or nationality, are able to enjoy the blessings of artha (material comfort) along with vidya (wisdom). We pray for an end to poverty, bigotry, religious fundamentalism, and the exploitation of our Prithvi Maa (Mother Earth). We pray to Sri Vighneshwara (Lord of Obstacles) for the strength to tackle these challenges, motivated by love and compassion. 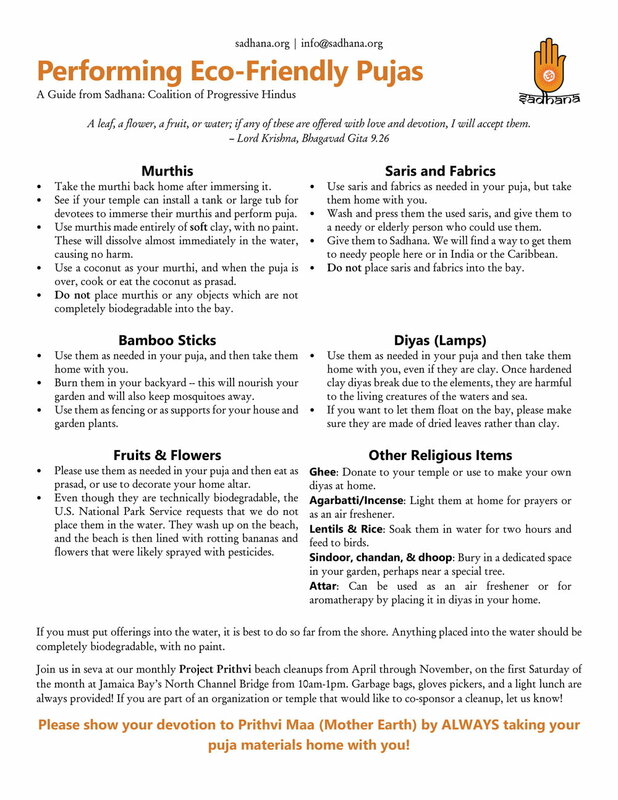 Additionally, consider following these steps in Sadhana's "Performing Eco-Friendly Pujas" guide. You can download this guide here; please share it with your family, friends, and temple community! Best wishes for a joyful Ganesh Chaturthi and an obstacle-free year ahead. "Salutations to the lord of all human beings, ganas and pramathas (celestial beings). Salutations to You, Lord Ganesha, with a large belly and single tusk, You who are the remover of all obstacles, the son of Shiva, and the embodiment of generosity."